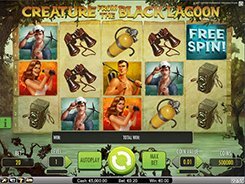 Featuring nicely designed graphics and a fast-paced gameplay, the Pacific Attack slot is themed around the Pacific theater of WWII that ended in the Allied victory. 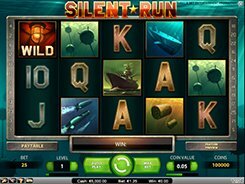 The slot has 5 reels, 15 paylines, a wild, a scatter, free spins and a bonus round. 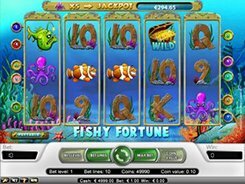 The maximum possible bet per spin is 300 coins which is a cash equivalent of $60. The symbols in the slot are all war-related and include paratroopers, bombs, military decorations and other themed icons. A wild (the Pilot) is the most lucrative symbol in the game, with these five awarding the largest cash prize of $20,000. 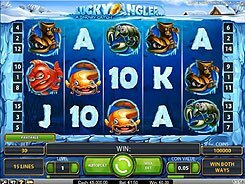 Besides, you can benefit from 10, 20 or 30 free spins if hitting 3 or more scatters in any position on the reels. A bonus game is unlocked by three bomber plane symbols and is designed as a 3D animated version of the game of Battleship, with a 10x10 grid. Your task is to shoot at the squares trying to hit or sink enemy ships arranged on the grid. Each hit awards a cash prize depending on a type of ship hit.